Remodeling the bathroom in your St. Paul, Minnesota home, may seem like an overwhelming task, but if you hire an experienced company to handle the job for you, you’ll find the process to be easy and headache-free. When looking for a home improvement company to hire in the St. Paul, MN, area, seek out a business that has many years of experience working in the industry. Also, ensure that the company you hire uses skilled technicians that are familiar with the products and services you are in need of. If you hire an inexperienced installer for your bathroom remodeling project, your new products or even your home could be damaged. If you want a talented and knowledgeable business to remodel your bathroom for you, trust the skilled professionals at U.S. Patio Systems and Home Remodeling. 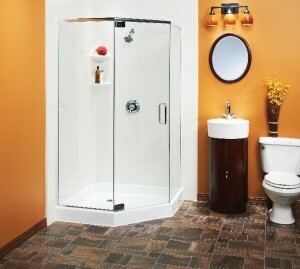 We have spent years helping homeowners update their bathrooms with top-of-the-line products, so we have the experience necessary to expertly serve you. Whether you need a few accessories like corner caddies or bench seats installed in your bathroom, or you desire a full bathroom renovation, we can handle the job for you. We offer a wide selection of products and installation services to meet all of your bathroom remodeling needs, including flooring, sinks, cabinetry, toilets, walk-in tubs, shower doors, replacement bathtubs and showers, and more.